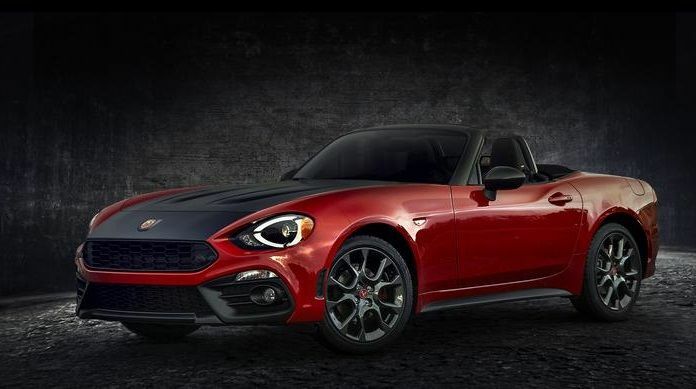 In the most recent update to Car and Driver's (CD) Lightning Lap series, the 2017 Fiat Spider Abarth has recorded a four-second quicker time than the Mazda Miata Club on the Virginia International Raceway. Now in its eleventh year, CD's clever series is easy to understand; Run cars on the same track over time, record their times, compare. In 2015, CD ran the brand spankin' new 2016 model year ND Miata Club trim on the track and laid down a very respectable 3:20.8 (three minutes twenty seconds and 8/10s of a second). Virginia is a fast track with a long straight and two other long stretches where cars can hit their top speeds. It's really a better track for muscle cars and big-power race cars. A modified V8 Lexus RC F was the fastest car to ever run the course by CD. That's cheating, of course, the point is to run these cars bone stock and see how they do. The Spider Abarth ran the track in 3:16.9, 3.9 seconds faster than the Miata did in its earlier run. The Abarth's more powerful turbocharged engine was a good fit for this track against the non-turbo, lower-power Miata. Although the Miata is quicker in a 0-60 MPH run than the 124 Abarth (also according to Car and Driver), on a track where top speed and maximum power for long stretches is a possibility, the Abarth pulls ahead and stays ahead. CD summed up the Fiat's quicker time by saying, "In large part, it's because of power and power delivery." There is much more to the story, but we aren't going to steal Car and Driver's thunder (get it?). You can read the full story in the October issue on pages 44-67. See the lap time summary by Car and Driver here.